A grandmother who was attacked by a rabid bobcat wasn’t going down without a fight. While her 5-year-old granddaughter slept, Dede Phillips says the animal attacked her with barely any warning. 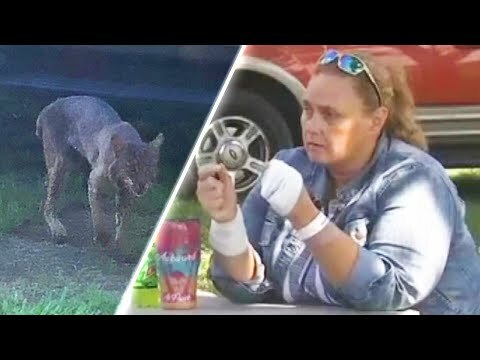 The shocking scene unfolded as the bobcat lunged at Phillips outside her Georgia home. Phillips remembers thinking “I wasn’t dying today” and decided to fight back. InsideEdition.com’s Leigh Scheps (http://twitter.com/LeighTVReporter) has more.